This course provides the foundation knowledge and skills to evaluate the resistance of cryptographic implementations to side channel analysis. 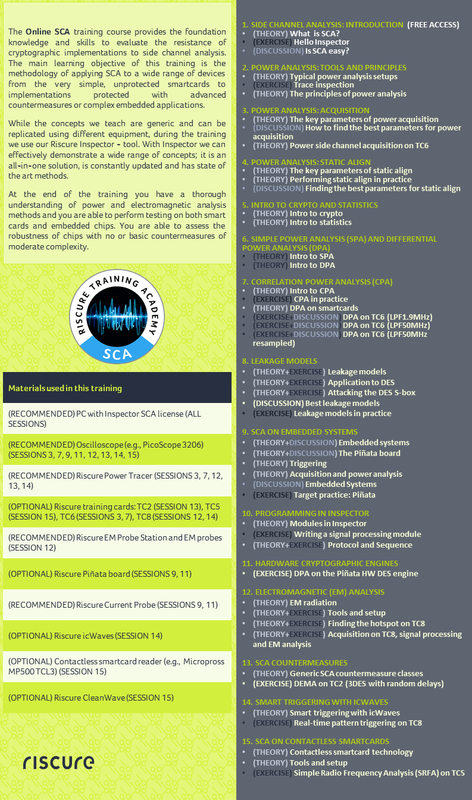 The main learning objective of this training is the methodology of applying SCA to a wide range of devices from the very simple, unprotected smartcards to implementations protected with advanced countermeasures or complex embedded applications. Aimed primarily at current and future Riscure Inspector customers, this course uses our industry-acclaimed software technology to demonstrate the key concepts of Side Channel Analysis. This training is ideal for engineers developing embedded solutions as well as security evaluators, desiring to understand how side channel can compromise security. The exercises use the Inspector suite to demonstrate SCA. However, you do not need Inspector to gain the relevant knowledge through this course. For Inspector customers, it is an easy way for new specialists to become familiar with the use of the core SCA functionality of the Inspector suite. Take a look at the first session! Please click here to access our e-learning platform where you will be able to view more online courses and the upcoming dates for classroom training with full access to equipment. Once you have your plans defined, there you can also register and purchase your seat right away. 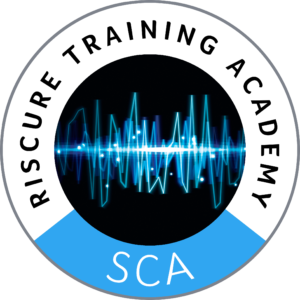 If you have questions or would like to discuss a special training program for your company, please contact us at trainingacademy@riscure.com.